“My client was referred to me by Zamira Fraire, another CHW, from Duchesne Clinic. Client has been suffering from headaches due to perforations in her left eardrum. The client got a referral to Shawnee Mission Ear specialists from WyJo Care. I assisted her with interpretation every appointment. The doctor gave my client the option of surgery to get rid of the headaches, but unfortunately the surgery was not able to improve the audition. Client had her surgery in Shawnee Mission Hospital. The procedure was successful. Afterward, I helped the client to make appointments and assisted her with interpretation. 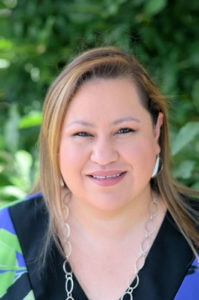 Guadalupe Tredway serves Wyandotte County’s English and Spanish speaking communities.